Cooperation and Complicity: Some Moral Principles. Dr. Helen Watt, (UK) Anscombe Biethics Centre , Oxford. Presented during the 2015 MaterCare International Rome Conference. Pluripotent stem cells are defined by their capacity to differentiate into all three tissue layers that comprise the body. When transplanted into an embryo they form chimeric embryos, with cells coming from the embryo and cells derived from the transplanted pluripotent stem cells. Chimera formation, generated by stem stem transplantation in the embryo, is a stringent assessment of stem cell pluripotency. Mouse Embryonic stem cells (mESCS) and mouse induced pluripotent stem cells, injected in a 8 cell embryo give chimeric embryos, and this is the most efficient method for assessing stem cell pluripotency. Because a shortage of donor organs has become a major obstacle to the expansion of organ transplantation programs, and because a good tissue matching of the transplanted organ with the recipient is a main condition for the success of transplantation, one of the ultimate goal of regenerative medicine is to grow organs using the patient’s own stem cells and to transplant those organs into the patient. With the development of induced pluripotent stem cell technology we are now able to obtain patient-derived pluripotent stem cells which could allow to reach this goal. However, the complexity of organogenesis hinders in vitro generation of organs derived from a patient’s iPSCs. A solution would be to grow into an animal the organ developed from patient’s iPSCs. This could be achieved using the capacity of pluripotent stem cells to generate interspecies chimeric embryos, with cells within the embryo derived from the transplanted pluripotent stem cells. 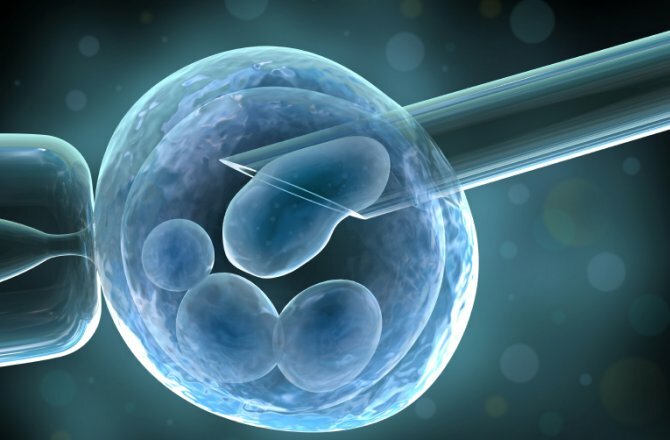 To reach that goal, the human iPSCs transplanted into an animal embryo – for example a pig blastocyst – would be directed toward the growth of the desired organ. Jérôme Lejeune identificó la trisomía del par cromosómico 21 que define el Síndrome de Down en 1958, dedicando su vida desde entonces a investigar para mejorar la vida de estas personas. Conozca la labor de la Fundación que lleva su nombre durante la proyección en exclusiva de la película “Jérôme Lejeune”, un apasionante viaje por su vida y su obra hasta nuestros días.